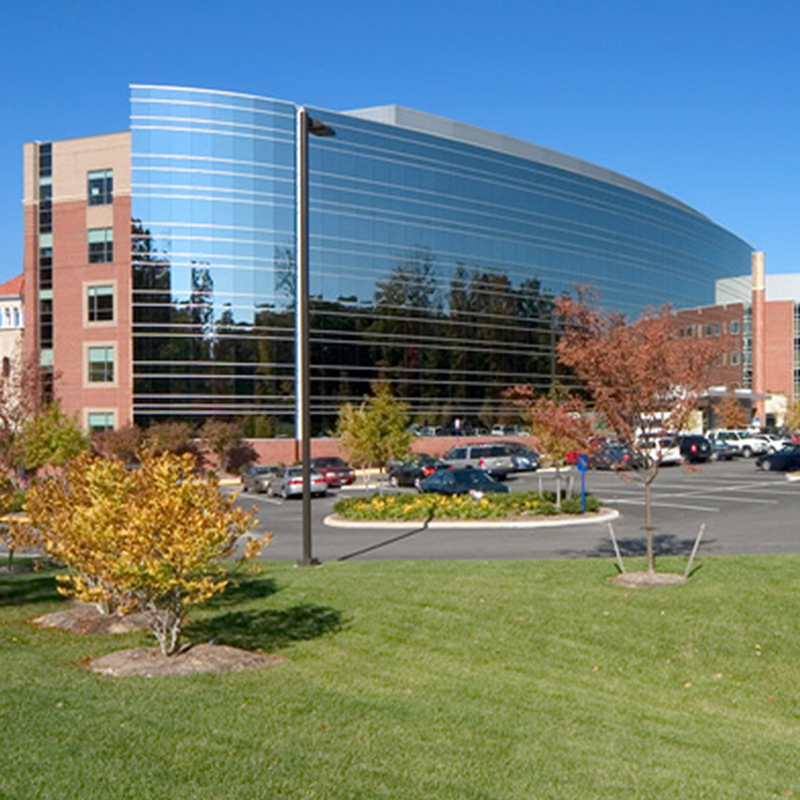 Team Henry Enterprises was the successful low bidder responding to a competitive solicitation to renovate the Outpatient Infusion Center at St. Francis Cancer Center in Midlothian, VA. The project consisted of the complete interior demolition of a 8,000 sq. ft. radiology facility back to the building shell and the new construction of a chemotherapy infusion suite and new compounding pharmacy. One of the primary challenges of the project was to complete the project in an occupied hospital with minimal impact to the surrounding patients and staff. Due to this constraint, a significant portion of the work was completed during nights and weekends. The pharmacy component of the job included the construction of a service area for doctors and pharmacists, an office for the chief pharmacist, and a clean room facility for the storage and mixing of cancer medications, with an airlock and separate positively and negatively pressurized clean rooms. Due to the nature of the medications handled and compounding processes conducted in the pharmacy clean room areas, a new HVAC system with HEPA filtration, a hazardous materials exhaust system, and other systems to regulate and monitor pressurization and particle counts had to be installed. Security was also a primary concern for the pharmacy, and a state of the art security system and access system was included for that purpose. 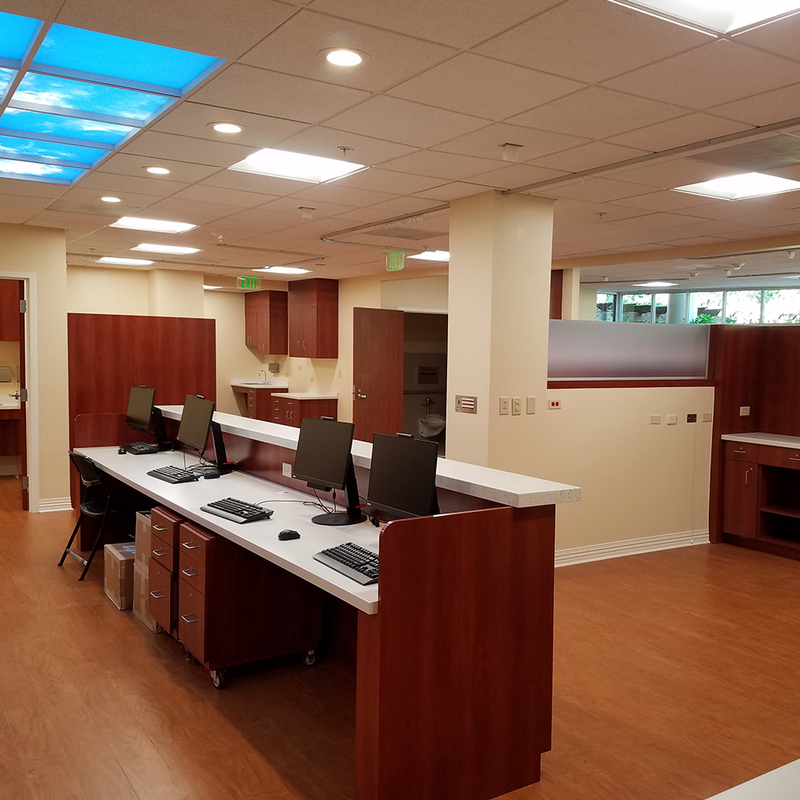 The patient infusion area of the project included new custom casework at eighteen patient treatment bays, as well as an upgraded nursing station and nurse call system. This portion of the project also included the construction of four new restrooms, a reception area, two new waiting rooms, two highly secure med storage rooms, several offices, and an employee break room. All of these areas received custom casework and Class-A finishes.